Racer X has learned through multiple sources that reigning Monster Energy AMA Supercross Champion Jason Anderson had big crash while riding yesterday (Monday) and has injured his arm. Internal injuries are also suspected. 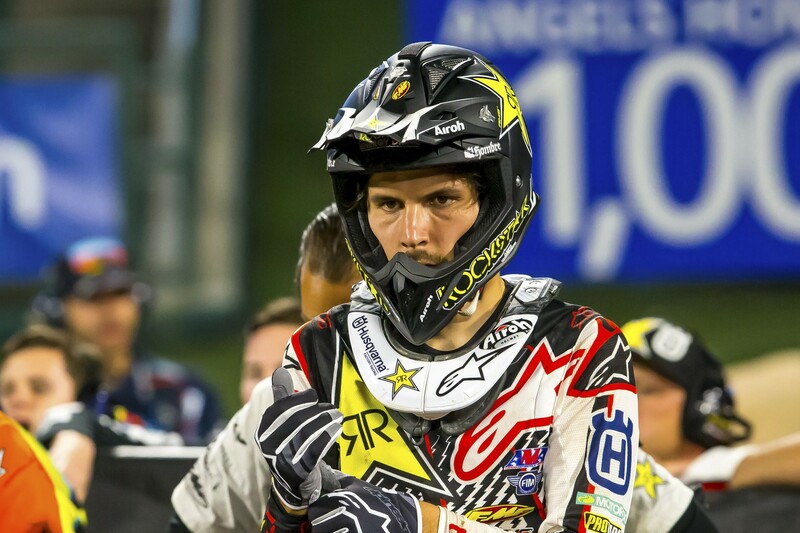 We don't have specifics yet on a timetable for recovery, but it appears the injuries will keep him out of action starting with this weekend's Oakland Supercross and beyond. We will keep posted with more info as this story develops.